This past weekend we got together with some friends and we went to Lexington KY for the weekend. 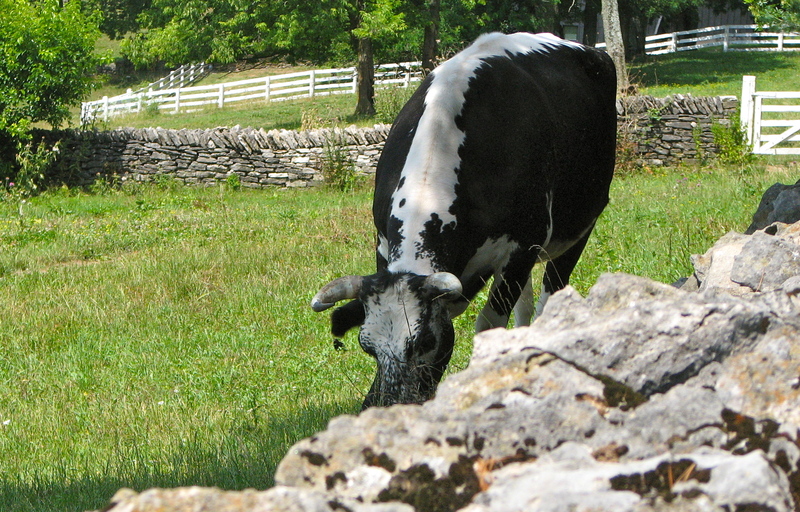 On Saturday we drove about 25 miles from Lexington to Shaker Village of Pleasant Hill. 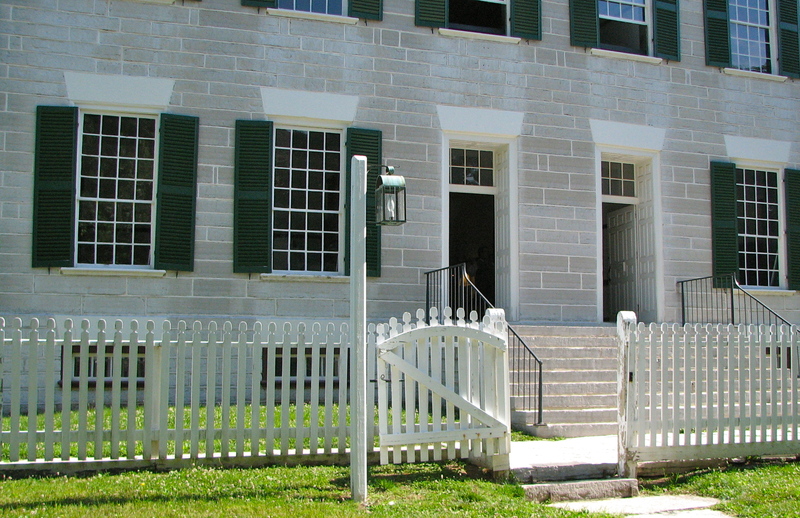 Shaker Village of Pleasant Hill is a living history museum with 14 buildings nestled in the hills of Kentucky. 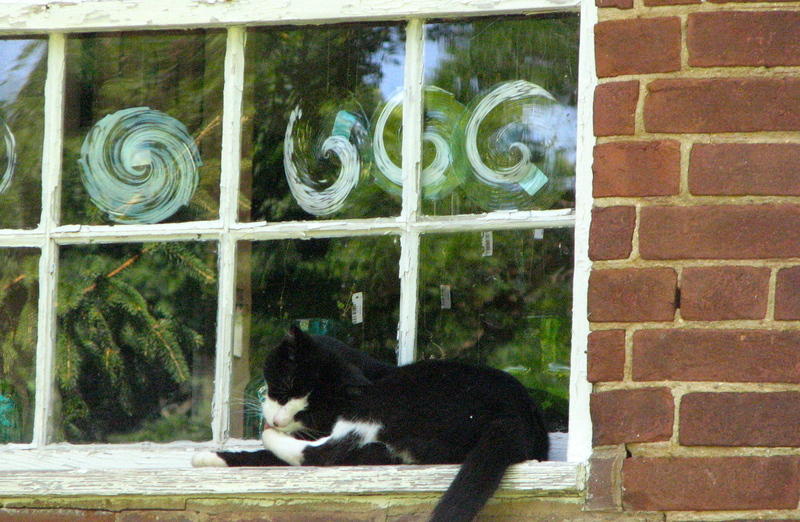 It is the largest restored Shaker community in America. Above is a stone building with wood floors built by the Shakers. When built in the [early?] middle 1800s, it was a wonder to behold because at that time many people lived in log cabins with dirt floors. The fact that this building is still standing today is equally amazing to me. This is the dormitory where the Shakers lived. At the height of their popularity the Shakers, who were celibate, numbered around 500 people. Notice that there are two front doors on this building. The left door was for the women & the right door was for the men. I loved this well-maintained, yet slightly off-kilter, shed. 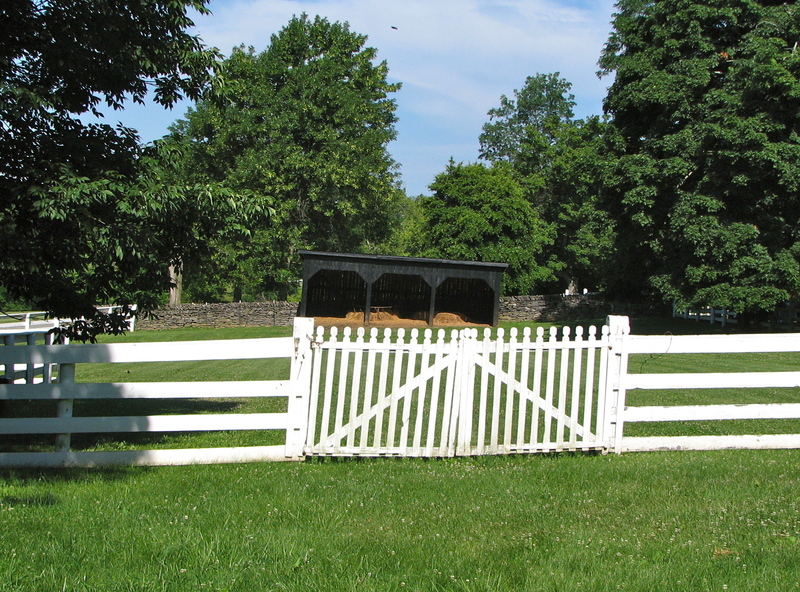 The white fences and the stone fence you see here were everywhere on the Shaker property– as well as all around Lexington KY. Inside the barn we saw this snoozing lamb whose mother [upper right corner] gave me her version of the evil eye as I snapped this photo. In all honesty, sheep don’t do evil very well; they are just way too cute for that sort of thing. I like goats so when these two guys decided to try to eat a leather tab on my cross-body bag I let them do it… for a short while. This is the look they gave me when I stepped back from the fence taking my handbag with me. Not pleased were they. This guy, one of two oxen, was a goof. He loved having his photo taken and followed me along his fence pausing so I could get a good shot of him. Such a cooperative fellow! 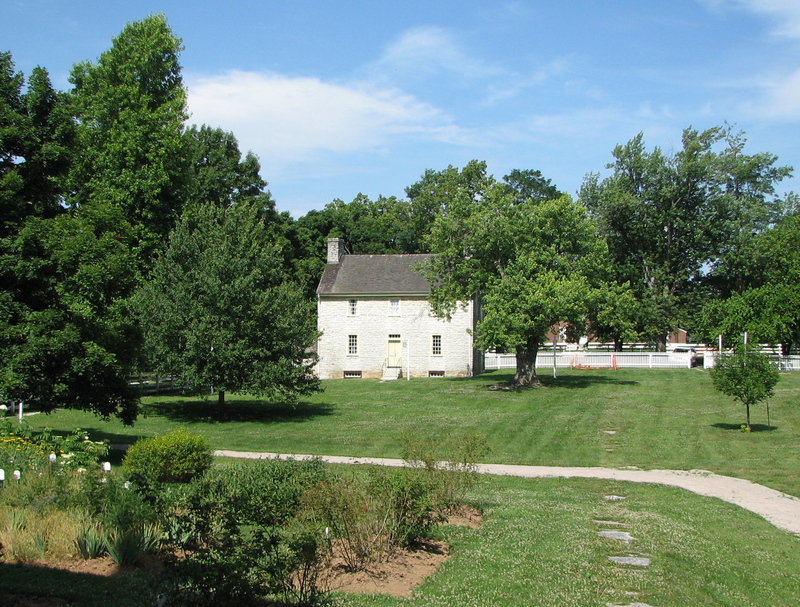 Here is a view of the land surrounding Shaker Village at Pleasant Hill. It was spectacular to see. We enjoyed craft demonstrations in many of the restored buildings, then stepped outside each building to see a serene view such as this one. Naturally there was gift shop at this museum. 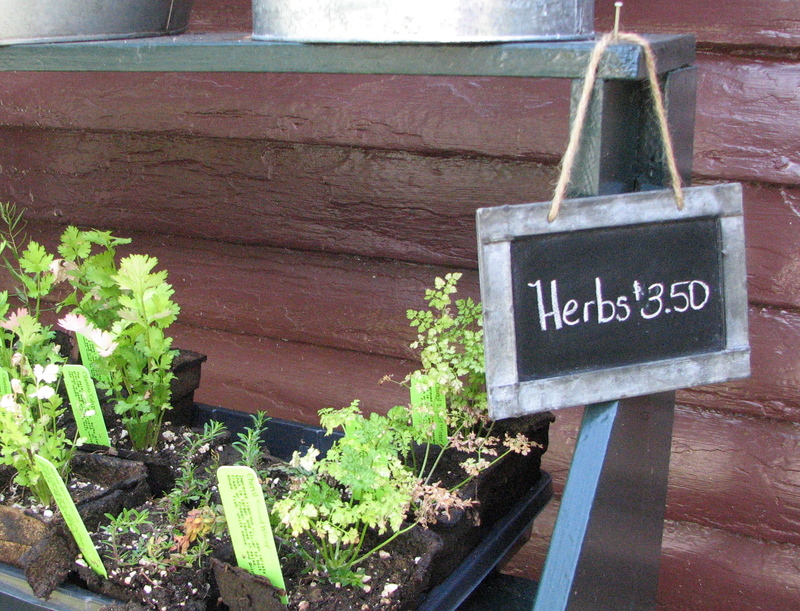 Many of the items for sale were either made/grown on the property. Also, it was possible to special order some pieces of furniture. We didn’t buy a thing, but enjoyed the inside of this shop which was beautifully merchandised. One of my favorite places! Did you dine at the Inn? Mike, no we didn’t. This visit we were on a tighter schedule than previous visits, so we grabbed a sandwich from the gift shop for lunch. However, we’ve eaten there before and it was delicious. I remember having the best lemon pie EVER there. I think the lemon pie is everyone’s favorite. I believe that. I don’t remember the details of the meal, but the pie was yummy. The pictures turned out very well, Ms Camera Bean. The artist’s eye overcomes the technology glitch. Z-D, thanks. I did get some good shots… despite… everything… with that poor old camera! Lovely photos and I adore that sweet little lamb! I’m as amazed as you at how well that building has held up. Zazzy, that building in its day was a technological marvel. Imagine coming upon something that refined in the middle of the then wild west! Stunning then, pretty now. Polly, it was a quiet, interesting museum to visit. Lots of walking around outside. Lots of friendly volunteers happy to talk about whatever caught our fancy. And the simple beauty of it all was worth the effort to get there. Colleen, these farm animals were all cute & docile– much more so than I imagine animals on a working farm would be. 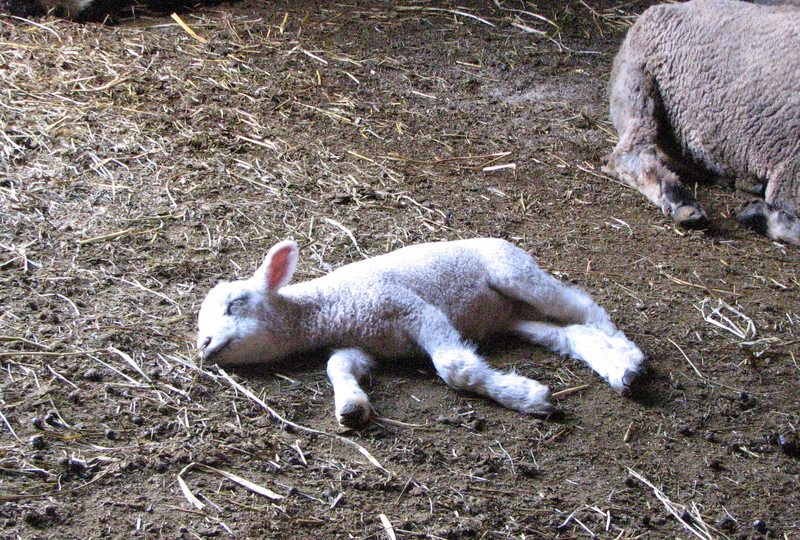 Northernmum, I know– isn’t that little lamb sweet? All the while we were in the barn he snoozed in the sunshine. Not a care in the world. Kristen, we had a good time running around Lexington for two days. It’s just enough different than around here to make Lexington seem like it’s farther away than it is. Margaret, Shaker Village of Pleasant Hill was definitely a happy place. So mellow + so pretty. As for the pie, Z-D doesn’t like lemon either– but he found a dessert to his liking on the menu. Cookies, probably. They also had delicious cookies there. Love your pictures and story! It looks like the weather cooperated,too–a beautiful,peaceful day. Beth, thanks. 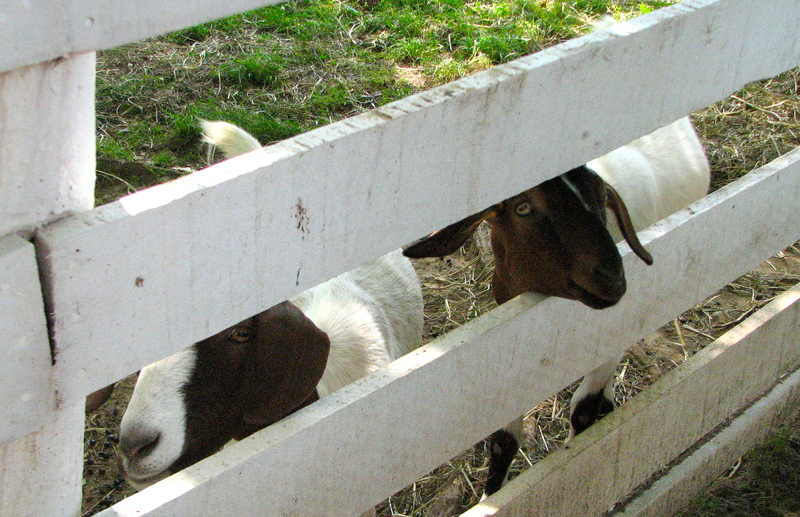 The weather was perfect– which might be why the farm animals where so amenable to being photographed. We enjoyed this museum. All the workers/volunteers were friendly and knowledgeable. And it was pretty everywhere we turned. One thing though– the village grounds cover a large area, so wear comfy shoes & be prepared to walk. Next Next post: Bourbon, Bourbon, Who’s Got The Bourbon?